Broadmoor Hospital in Berkshire says it is "responding to requests for pagan and Rastafarian input" to its in-house faith team. At present the team includes Anglican, Buddhist, Muslim, Roman Catholic and Jewish members. The Crowthorne institution also hopes to provide support for Hindus. A hospital spokesperson said: "Spirituality and religious worship are an important element in supporting recovery from mental health problems." 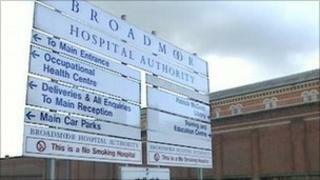 The Broadmoor Hospital Chaplaincy Service also said it was still hoping to recruit a new chaplain, after failing to find a suitable candidate at interviews in August and September. The previous chaplain Reverend Bob Simmonds used music as a way to establish and develop relationships with patients, drawing on his experience during the 1980s as drummer for Gary Numan's Tubeway Army.